All the illustrations are for demonstration reason only, consequently the machines colours, shape or quality may differ from that in the photograph. 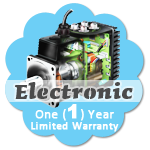 We have the sanction to adapt, withdraw or boost slight trademark while retaining the prime features and specifications. If preferred, a list of hallmarks can be requested in advance. 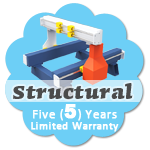 We offer limited characteristic warranty on each subsystem unless stated any other way, including on the whole machinery. Poor craftsmanship including defective equipment weaknesses are covered by the quality guarantee. Everyday wear and tear or misuse of your machinery is not our responsibility. Aforementioned is for this reason not covered by our warranty. Damages can often be repaired that aren't covered under guarantee, at minimal cost. Quotations will be immediately accessible upon inquiry. The machine(s) you are going to buy requires a regular service. 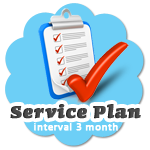 Investigation and positioning, basic cleaning , as well as common wear and tear reinstatement at a minimum cost are concealed within the service plan. Should you not service your machine(s) in the suggested service period, it is vital that your machine(s) is rectified in the equivalent of double that period or else your service warranty will be null and meaningless. This is to say that in which case we preferred that your machine is rectified once every three months, it is compulsory that you get your machinery serviced in every 6 month period or your warranty will not be legit. A Call-out points to to any time a specialist offers a service at your premises. Except for when approved by the company or concealed by each and every time of the above plans, a call-out fee will be required. At the instant of this quotation, 1 technician for one day is R 395.00 for weekdays, R 595.00 for weekends and R 995.00 for resting days or Public Holidays.Travel costs to your establishment including settlement if crucial, are on your account, along with the call-out charge. The technicians crucial preparations to be made to get picked up as well as sent back, are preferred to be done by you. If you would like for us to go to you, the current percentage is R 6.00/km amplified by the traveling distance between our workshop as well as your establishment.Attentively seek an answer about call out including transport costs beforehand as those charges may differ point by point without notice. Our maintenance plan is suited for you if you only would like our technician to take a look at your appliance for your contentment, or if you would like to find out if the machinery is adjusted to operate optimally. No fees will apply for the specialist we provide. You will be advised by our experts whether an different or additional maintenance or service parts replacement is needed or whether everything is normal. During maintenance visits no reconstruction or intense labour function will be practised and reservations can be made for this to be carried out at your and our quickest convenience. A unique barcode is provided with all our mainline of machinery. 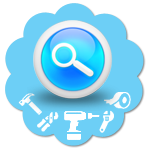 Review for this reason you will evermore be able to,in any way and at any time, analyze the machines guarantee report and maintenance history on our webpage or while disconnected. By using the barcode we value our machinery's guarantee and assistance. 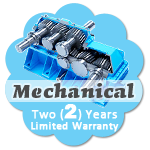 This insures your ultimate convenience on both the reselling and assistance of your machinery's. This page is part of CNCPlasmaCutter.co.za and automatically generated at 2019/04/25 19:05:19.